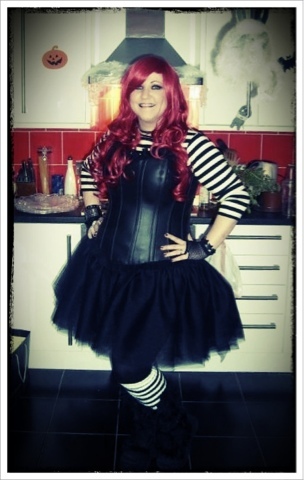 I am a big fan of dressing up, so as you can imagine I love Halloween, just thought you might like to see my costume from this year, a kind of Harlequin Goth hybrid. Hubby and I had a great night at our friends party, suffering for it today, well worth the hangover! As part of my (H's) Internship with the Make lounge I managed to squeeze in a workshop last week, which was the Silver Charm Bracelet and Pendant. We used Precious Metal Clay to make our own charms to use on our bracelet and pendant and here is how we did it! You have to keep the precious metal clay wet as it is very much like normal clay up until the firing stage and so it is can become very brittle, otherwise it will dry out and become unusable. So you should make sure you keep it wrapped up in cling film within a bag, and even perhaps another bag, just to make sure! We then made our shapes for our charms using mini cutters or designing our own using a scalpel to make the shape. Making sure to make the hole for the charm to be hung at this stage, otherwise you will not be able to later. We formed the shape on an old tile so that it was easy for the clay to be moulded. A Button, Man, Star, Bird and flower charm on a bracelet. Then when you are ready you have to dry out the shapes, we used hair-dryers, for ease in the workshop space, but you can put them in the oven at home for about 10 minutes. They have to be dry all the way through and so the shapes have to be quite thin (about 2-3mm thick) as otherwise when you go to the firing process they may break. They are still really brittle at this stage and so be very careful when you smooth down the edges with a wet wipe. Then off to the firing it is! This invloves just a gas hob and you put the charms on a bit of gause on top of the flames and wait until the charms go white and put them in a bowl of water to cool. The charms are now hard as nails and you sand then down with wire wool and metal sandpaper to smooth and the silver appears! This stuff is magic and its one of the best things I have seen in a while. A Teardrop charm and Beads on a pendant. Unfortunately the last workshop of this kind is on Saturday and it is fully booked, but I would recommend keeping an eye out for workshops like this in your area as it was a really fun technique to learn. 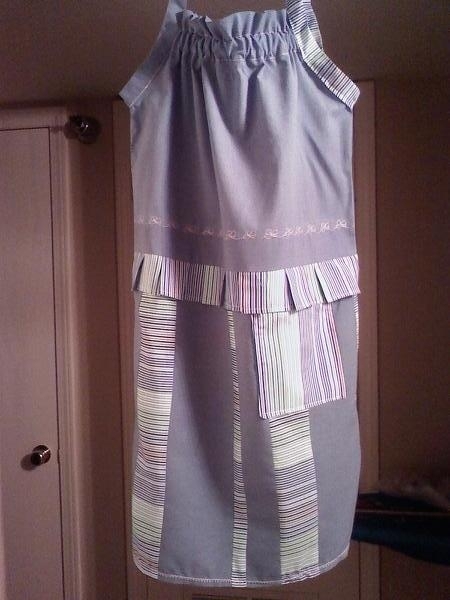 One of H's friends is on a Pillowcase dress making challenge in aid of Dress A Girl Around The World, a charity based in the US that asks you to ‘Imagine a world where every little girl owned at least one dress’, and then tells you how you can make simple dresses from pillow cases. 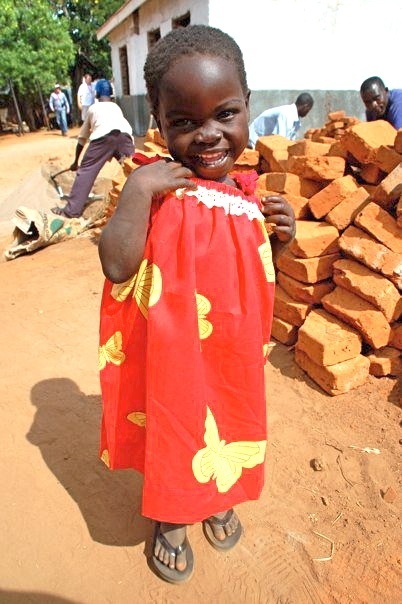 These dresses are then distributed to girls in countries such as Malawi and Kenya. I Love Shoes Boots, so when I was in London last week I could not resist popping in to Newlook to see what they had for me in their Shoe Gallery at the Oxford street store. 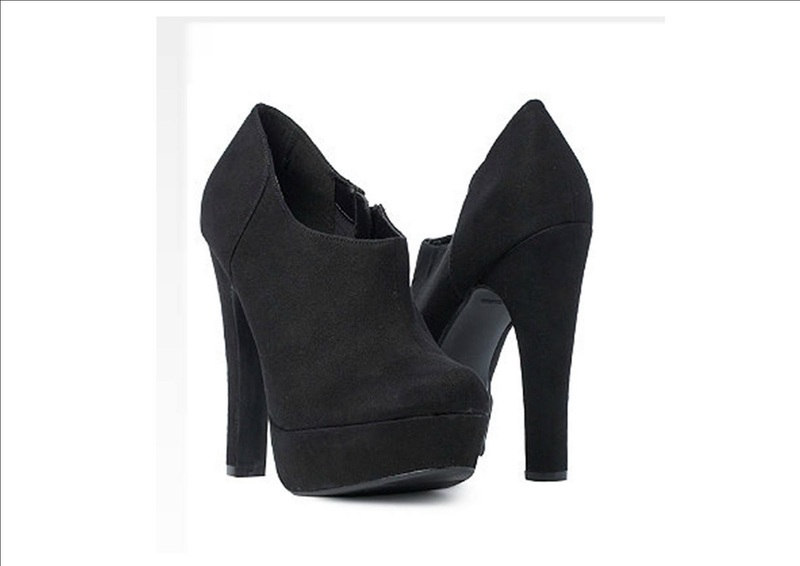 Well I found these Beauties! 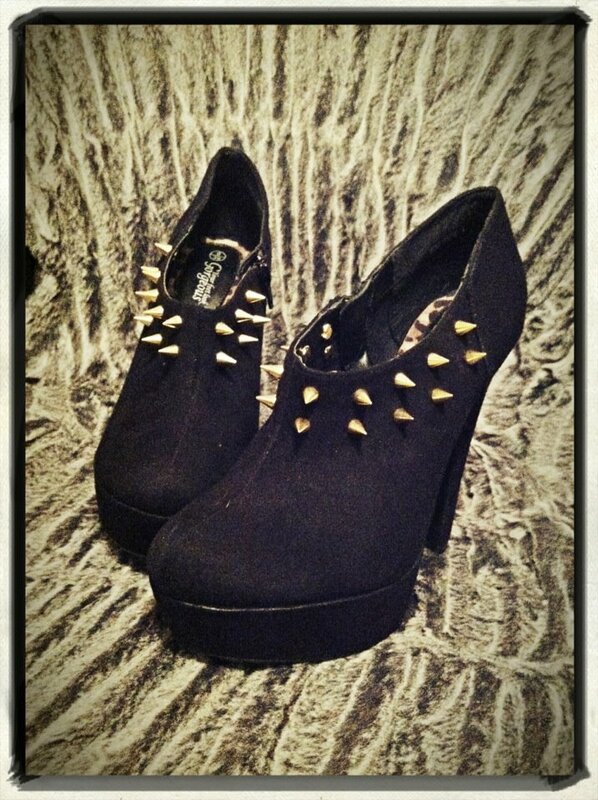 Super trendy seventies, heel low cut front, platform, and suede, what more can a girl ask for.....I tell you what, Studs, thats what! I went to my trusty friend Ebay.co.uk and went looking for studs and I found some. They had to come all the way from Hong Kong but I found the perfect gold coloured screw-in studs. So when they arrived I got to work, they were so super easy to put in. Make a hole, push the screw through the hole and screw the spike on the front. I am looking forward to wearing them this weekend in Brighton, with my new Purple skinnies for dinner out with My Hubby for our three year wedding anniversery. I promised pics of the fabrics I bought last week in London, So here they are. 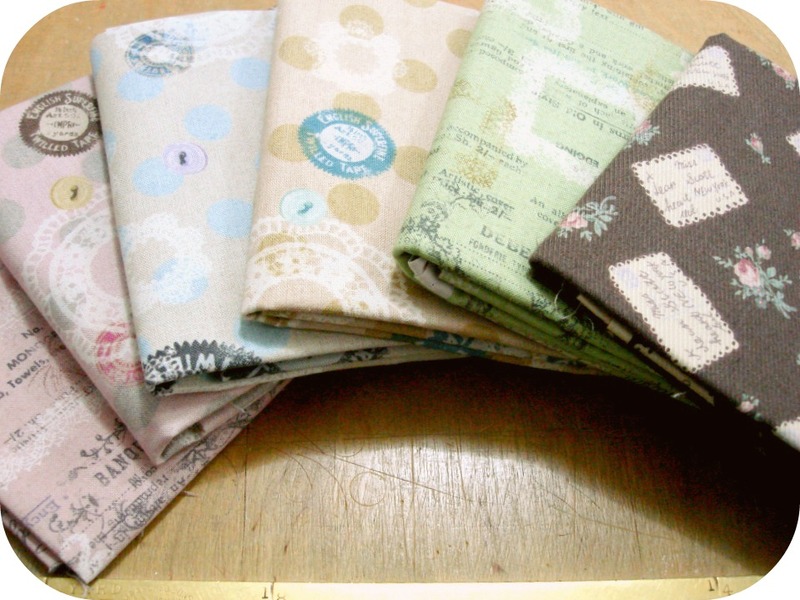 These pastel sewing themed beauties were from Antique Angel at the Knitting and Stitching show. These were all from The Make Lounge, I am hoping H got commission. Big news in My world has been that I have quit my day job and am going to start being creative again. I decided that after 6 years working in events, my role had become less creative and so I am going back to my roots and back to the arts and crafts! So, to kick start this new phase, I am undertaking an Internship at The Make Lounge in Islington. The main emphasis for them is the workshops they do. The integral point is that they are 1 or 2 evening classes that don't need you to commit to a 10 week course like other craft courses. You can undertake many different types of craft, including; crochet, cupcake decorating, skin care products and dressmaking, amongst others. But back to what I am up to. I have been there over a week now and I will be working with them until the end of the month, so I have plenty of opportunities to learn and find out more information about how a craft business works. I have been helping with the preparation for workshops, marking up dress patterns, making sure equipment is set-up and today I started working with the flash till they have for the shop. There are plenty of craft materials to buy in the shop, mostly to do with the workshops they have on offer, but also a huge amount of books to have a look at and get inspiration. I can already feel my creative mind working overtime and my notebook has become scrawls of ideas and notes that I can use for my own work. 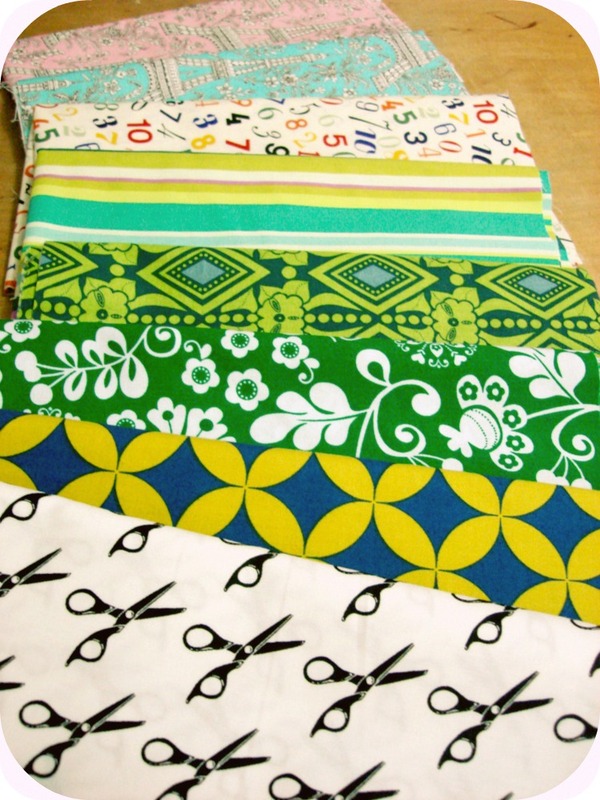 I also have my eye on a few things to help me, with the speedy carve to help with making prints and fabrics to use for, well just about everything. Wish me luck! So what a lovely weekend we just had! Just to confuse us all that little bit more, the hot weather comes back to us for October!!!!! It did however present itself with an opportunity to meet up with a friend for a lazy afternoon and visit a new haberdashery shop at the same time - good times! So, firstly to the shop. 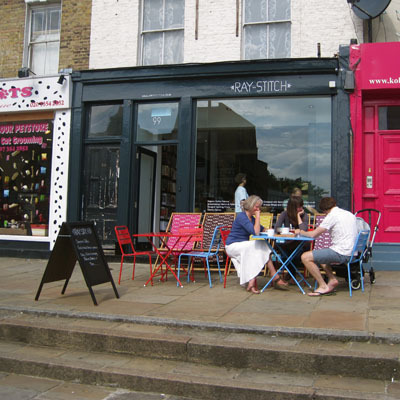 Its called Ray Stitch and its in Islington, London (which is managing to become a bit of a hub for these places). It is a haberdashery shop and cafe and they also do classes too. I popped myself in and had a little nosey around the shelves. 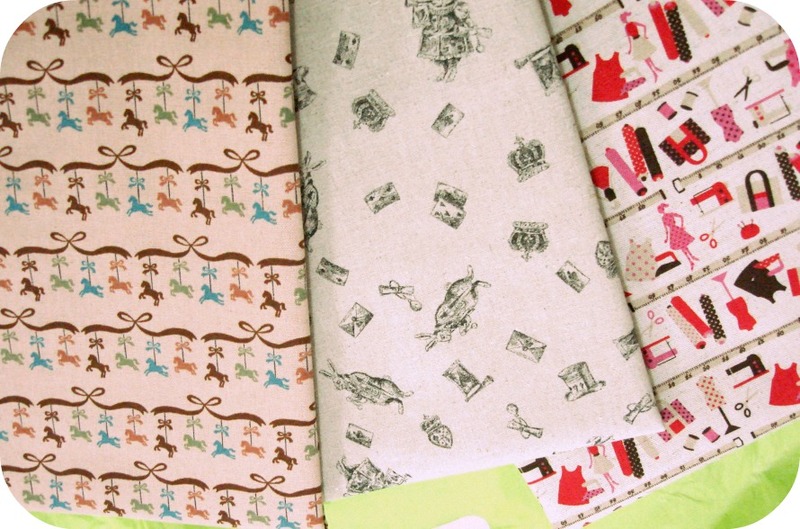 Lots of Print fabrics, including Japanese quirky prints and a few ribbons and buttons. You can also pick yourself up a coffee and some cake after all those creative juices get the better of you and you feel like you need a sit down! Its well worth a visit when your next in the area. Some of the items are a little pricey, but as the website says, you can mix and match with what you already have and that's the beauty of a place like this, its all about picking up little bits to add to your ideas! Next on the list was to meet up with my friend, handily in a pub garden, and it was an opportunity to give her the scrapbook I had made for her. She has just been to New York for a few months and I wanted to give her something that she would be able to put her ticket stubs, photographs and other memorabilia in. It started life as a plain sketchbook from Paperchase and then with a little glue, fabric and ribbon, it became a scrapbook that she could put everything in that was original to her. Some fabric she liked, a few photographs handily stolen from her Facebook pages and some New York buttons found in a shop called 'All the fun of the fair' off Carnaby Street, London. Then, there was a chance to relax and unwind on a beautiful Saturday afternoon and let the day descend into night, where I think this post should end! A day off from work presented H with an opportunity to go to her favourite museum, the V&A. It was an opportunity to see two exhibitions that I have been looking forward to seeing, Postmodernism and the Power of Making. Firstly to the temporary exhibition spaces, for the Postmodernism Exhibition. The entrance way had a huge neon sign which was a sign of what was to come. With neon backlit text panels, the normal exhibition text had been re-invented for this show. Walking through the spaces, you moved from architecture to objects which "explored the radical ideas that challenged modernism" (in the V&A's words). It took me back to my student days of reading the book 'Learning from Las Vegas' and watching Blade Runner in my lectures to help us see how Postmodernism was a way of life for the time and effected everyone's attitude to popular culture. There were items that we can all relate to, from teapots and side tables to Annie Lennox's clothes. There was even the references to the start of hip hop DJing with Grandmaster Flash and the graphic design of posters from the Hacienda in Manchester and magazine design. For me it was a time that brought together many different design disciplines, some for the first time. It is a notion that is still explored today, with architects designing products for their buildings and how popular culture influences fashion and graphic design especially. Next on my list was the Power of Making, an exhibition which is very close to this blog's heart. It is run in conjunction with the Crafts Council to "celebrate the role of making in our lives". The objects varied from clothes and shoes, through to car manufacturing and sculpture. 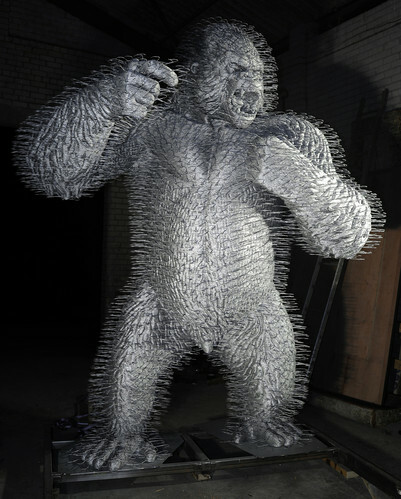 David Mach's Coat Hanger Gorilla was an impressive site at the entrance way to the exhibition. Made from wire coathangers to form the shape, it cuts an impressive figure in front of you. You can also find another of his works, an Astronaut at the Royal Jordanian Airlines Headquarters in Hammersmith,, London. Walking around the exhibition you could explore how robots help to make and that the skilled craftsperson is in decline, but that is starting to revive itself now as people want handmade and unique more than mass production and mundane items. The Widow Dressmaker Pin Dress by Susie MacMurray also caught my eye as it is made of thousands of dressmaking pins to hold the shape of a beautiful dress. I am not entirely sure who could or would want to wear it, but it makes a beautiful piece to look at, through the glimmer of exhibition lighting! It did get me thinking though that does the dress stay as a fashion piece or is it then sculpture? After all that culture I was a little hungry, so took the opportunity to meet up with a friend of mine who works at the Gallery and eat in the lovely cafe there! So much choice, so little time. The garden in the centre of the Museum, makes a lovely spot when its a nice day and in the barmy weather of late September too!